This is as close as any woman has ever got. Nice! 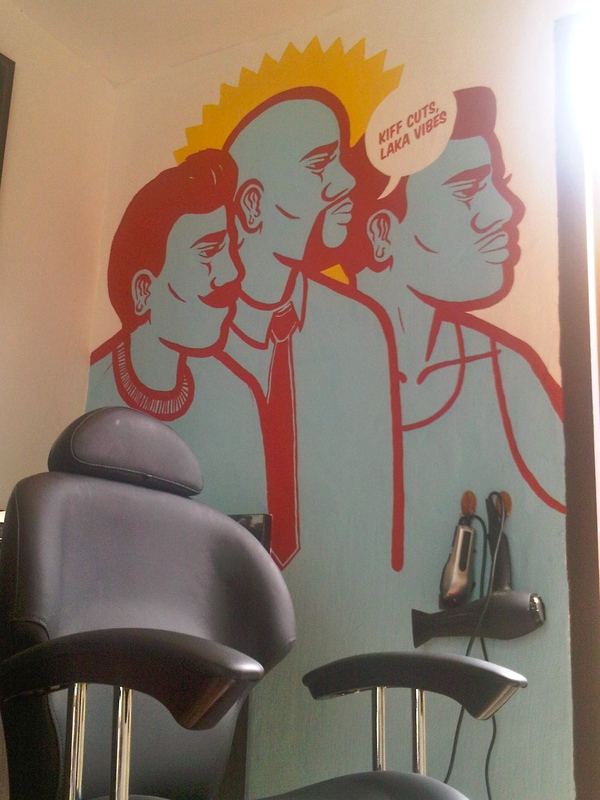 There is one such place found within the realm of Duke Juddypoo’s land in Glenwood- Nev the Barber. I joketh not. When I found this little oasis of serenity at the back of The Corner Cafe, I knew my life would change… well, alteast on the days I needed a haircut. 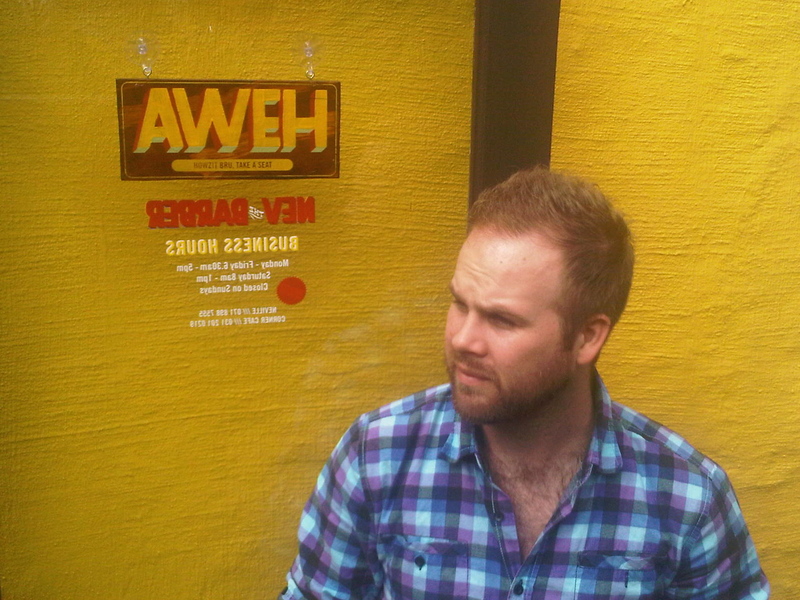 Nev says "Aweh". I like that. “Like OMG man, your hair is like so thin I want steal its diet plan and become it’s BFF”. The only other alternative was to pass the time reading one of many magazines informing me of the top 10 ways woman in my life should combat my male emotional retardation or 5 easy ways to get through “my” special time of the month. No longer. I shall go to Nev the Barber, watch ESPN Sports Centre and read the Zig-Zag. Boom! This just happened! Let us meet Nev, guardian of the man-cave. TS: How do you take your coffee? TS: Do you take it like you do hair, styled and with latte art? Where would MTV Cribs find you? Have they changed any street names there? Just joking, don’t answer..
Edward Scissor Hands or Sweeney Todd..
Sweeney todd- it’s a funnier, darker vibe. So do you find you get on well with your male clients? I don’t know, do they tip you generously? Why would they tip me generously? What I’m trying to say is, do your clients often invite you to have a beer with them and their mates… in Cape Town? NEV! DO GUYS THINK YOU’RE GAY ‘COS YOU’RE A HAIRDRESSER? Firstly, I’m a barber. Secondly…. yes. I actually got phoned last week and was asked if I was gay. Straight up! *cough*. I’d say it’s about 5 in 10 that think I’m gay. Do you think people would like Julius Malema more if he just chilled out and got his afro on? Probably, I know I would. If you could cut one guy’s hair who would it be? James Dean. He’s the ultimate guy. And my favourite cut in my style arsenal is a modernized take on his style. And the worst/hardest cut you have to do? Stripes on the side of the head. That’s racist Nev. Moving on. It’s the raddest place in South Africa. Where else can you go for a surf in the morning and then go straight to work in your slops, or use a coffee shop as your office. It has the friendliest people. Dude, this is just where my heart is. Anything big happening in the future for Nev the Barber? Not everything is about hair Nev. You’re getting married aren’t you? When the municipality starts their business renaming policy once they finished with the streets, would you object to your business being renamed “Reverend Geoff Nkosi-Strongfoot’s Quiet Diplomacy Hair Styles”? No need for supervision when playing with sharp objects. It's a man-cave duh! 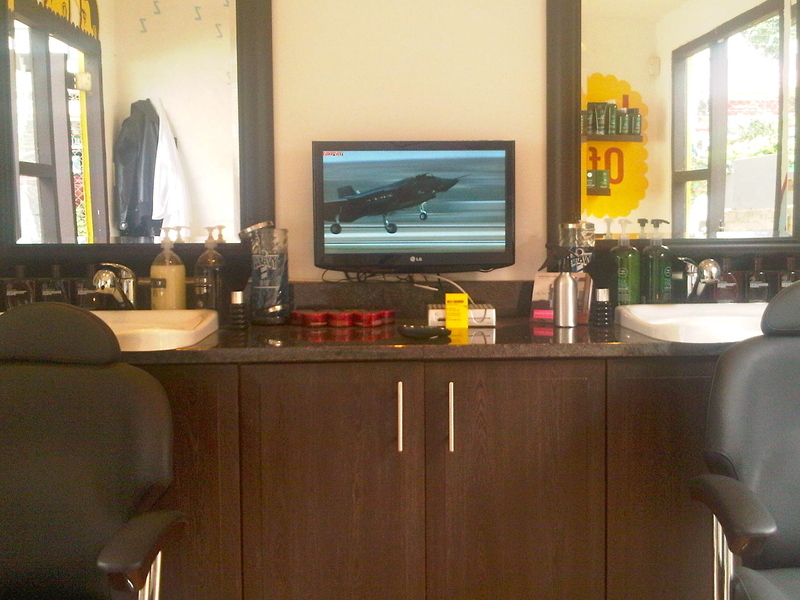 Nev the Barber is open between 06:30 and 17:00 weekdays; 08:00 and 13:00 on Saturdays. A cut is R100. It’s R80 if you’re young enough to be at school or old enough to not remember what school you went to. 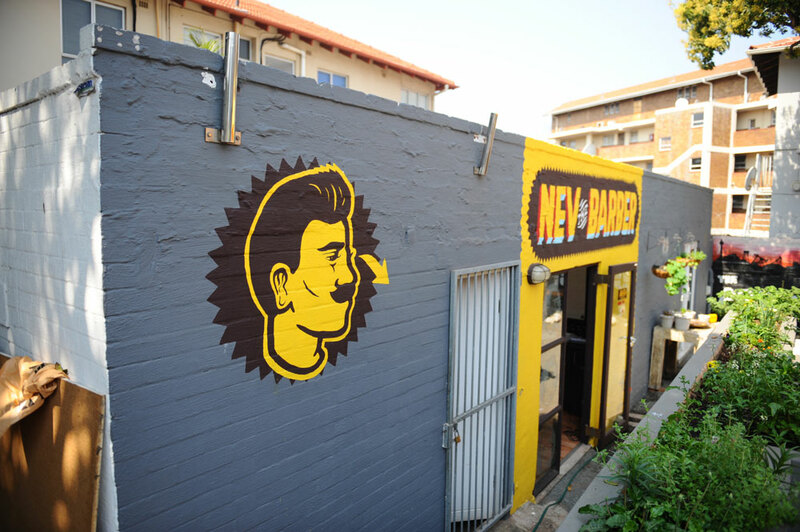 Call Nev on 071 898 7555 to book an appointment, or just rock up!